To view the moving image the best option is to use a browser other than Internet Explorer 11 as IE is required to be in compatibility mode to view the image. Older versions of Internet Explorer will work if the add-on from Panasonic is installed when prompted. 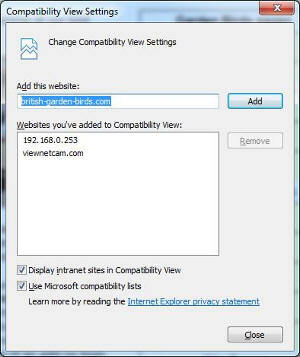 To use IE 11 select the drop-down menu from the settings cog in the top right-hand corner and click on 'Compatibility View settings'. You can then add the website to the list to be viewed in compatibility mode. You may wish to reverse these settings later as it will affect the way that pages on this site are rendered. As I said at the top, the best option is to use a browser other than Internet Explorer. 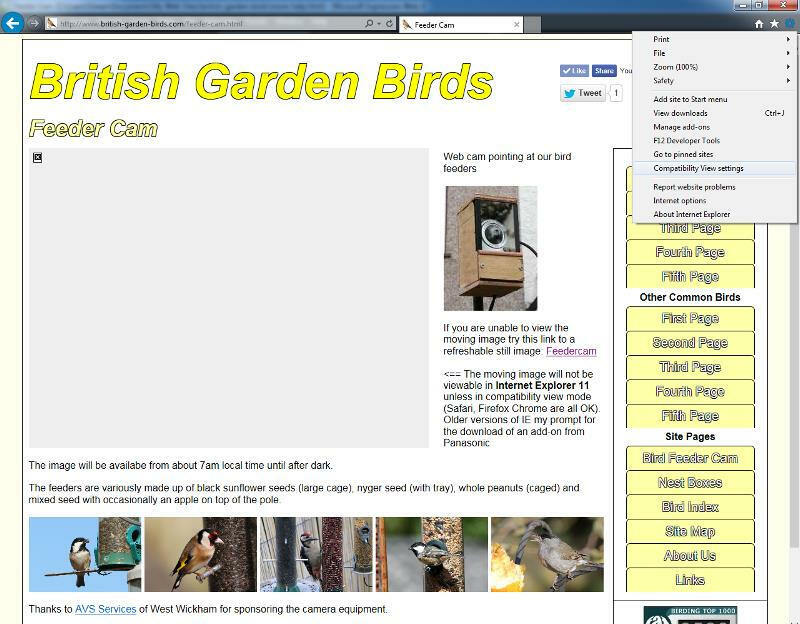 Browsers such as Chrome, Safari and Firefox for example need no adjusting to view the moving image on the page.